2015-16 South Pole season: Last preparations for world first solo, no resupplies and no kites, Antarctic traverse attempt. 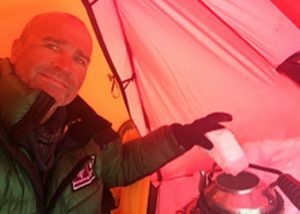 (Correne Coetzer) An 80-day 1100-mile sledge-hauling expedition lies ahead for Henry Worsley. 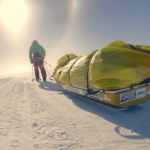 He has already done two full-route sledge-haul/ski expeditions to the South Pole, but this time he aims to become the first skier to cross Antarctica solo, unassisted and unsupported. The 55-year-old Brit has retired from a 36-year career in the British Army. Since his childhood days, he admired Ernest Shackleton and with this expedition he commemorates the traverse that Shackleton had intended to do 100 years ago. 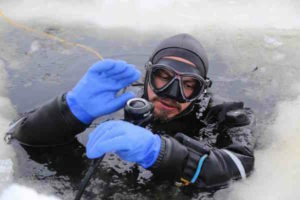 Henry is also a descendant of one of Shackleton’s team members, Frank Worsley, Captain of the Endurance and member of the South Georgia crossing party. Henry plans to start from Gould Bay, near where Shackleton had planned to start, ski to the Geographic South Pole and traverse the Continent to the bottom of the Shackleton Glacier. 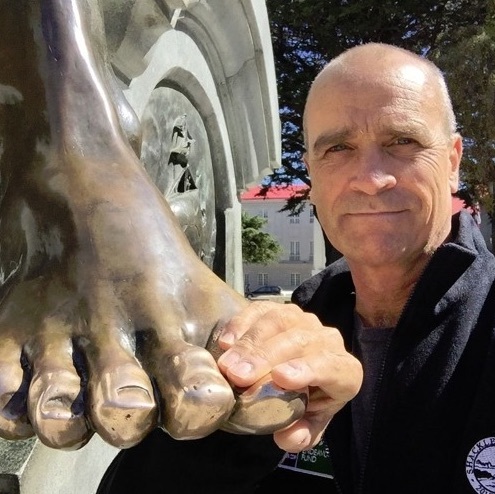 Pythom caught up with him in Punta Arenas, the Chilean gateway to Antarctica. PYTHOM: What have you learned on your previous two expeditions that you will take with you? HENRY: Be patient. Beware being overfaced by scale. There is no dark art to sliding one ski in front of the other. Be bold. Be ambitious. Try something you could fail at. Fundraising never gets easier. For every hour spent in the gym getting in shape, spend two hours training your mind to run on wires of steel. Look after your feet. Frostbite is a self-inflicted wound. You will suffer for some of the way, but its worth it. PYTHOM: What are challenging sections on this route? PYTHOM: Did you get advice from skiers who were previously on these routes (Berkner Island and Shackleton Glacier)? If yes, who, and some advice from them? HENRY: Advice from Borge Ousland to stick close to the mountains face of the Wujek Ridge where the ascent should be firmer than more the icy surface in the centre – based on his 1996/7 experience. 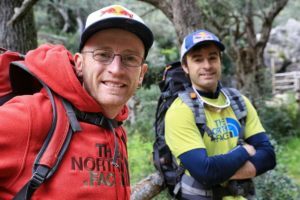 Advice from Eric Philips on the routes along the Shackleton Glacier and a possible site to cross the Swithinbank moraine. Reading ‘Extreme South’ by Ian Brown, ‘Ice Trek’ by Eric Philips and ‘Crossing Antarctica’ by Borge Ousland. Skis: Ski Trab with Rottefeler binding. Clothes: PHD, Paramo, Smartwool, North Face. Food: Fuzion Food cooked on MSR XGK cooker. Electronics: HET Power 50 12v battery. Iridium 9575 Extreme. Iridium Access Point for wifi hotspot. Iridium Shout Nano Beacon. PYTHOM: To-do list in Punta? HENRY: Endless kit preparation and checks. Minimise weight. Pray for good weather. According to Worsley’s website, the distance is 1100 miles. He has prepared food for 80 days. From the start he will be pulling all his food and fuel and gear for the whole journey in his sled. This 2015-16 Shackleton Solo expedition is fundraising for the Endeavour Fund, supporting the recovery of wounded, injured and sick Servicemen and women who wish to undertake activities in the physical arena as part of their rehabilitation process. 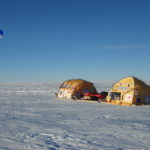 Henry will be logistically supported by ANI/ALE from Union Glacier base camp on Antarctica. Weather permitting, he will fly with ALE to Union Glacier on October 27th and start his journey no later than November 4th. 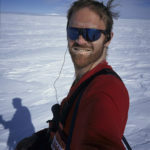 Follow Henry’s daily diary dispatches (www.shackletonsolo.org) in the Dispatch Stream on Pythom.